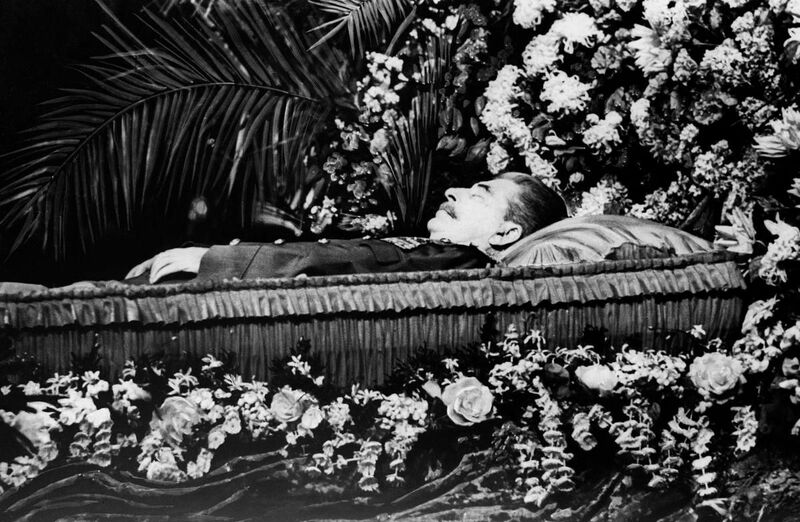 Joseph Vissarionovich Stalin, born 18 December 1878 and died 5 March 1953, was the leader of the Soviet Union from the mid-1920s until his death in 1953. The first politburo was created in Russia by the Bolshevik Party in 1917 to provide continuous and strong leadership throughout the course of the Russian Revolution occurring during the same year. The first Politburo had seven members: Lenin, Zinoviev, Kamenev, Trotsky, Joseph Stalin, Sokolnikov and Bubnov. Except for Lenin, who died in 1924, Stalin had all the original members of the Politburo executed from 1937–1940. He managed to strengthen his power following the 1924 death of Vladimir Lenin by putting an end to Lenin’s criticisms (in the postscript of his testament) and expanding the functions of his role, all this while his opposition was being eliminated. 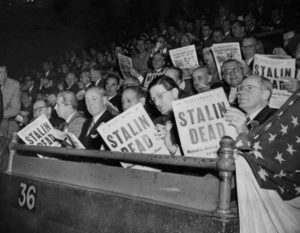 The number of deaths Joseph Stalin is responsible for is not exactly known, but everybody agrees that those figures run into millions. During his last years alive, he suffered from arterio-sclerosis and there are theories that this might have exacerbated his temper. When his doctor suggested he should take things more easily, Stalin had him arrested. This was the start of a number of doctors being arrested, mainly Jewish doctors, and thus leading to an outbreak of anti-Semitism and Jews being attacked in the streets. In the meantime, Stalin was considering deporting all Jewish Soviets in Siberia. 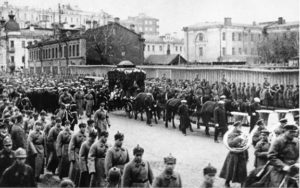 The last time Stalin left the Kremlin for his dacha at Kuntsevo, outside Moscow was in mid-February 1953. Nobody knows exactly what has happened, but after a night of heavy drinking until the early morning hours of March 1st, the guards started panicking when nothing was heard from their master all day and late in the evening a guard or a maid decided to check his bedroom and found him lying on the floor. According to his daughter Svetlana, who stayed near his bed, at 9.50pm on the 5th Stalin’s eyes opened with ‘a terrible look – either mad or angry and full of the fear of death’. He raised his left hand, pointing upwards, perhaps threateningly, and then death took him.